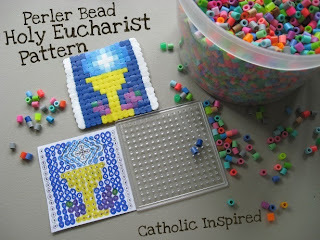 Home » Rosary » Rosary for Children » Use that weaving loom for something other than potholders! 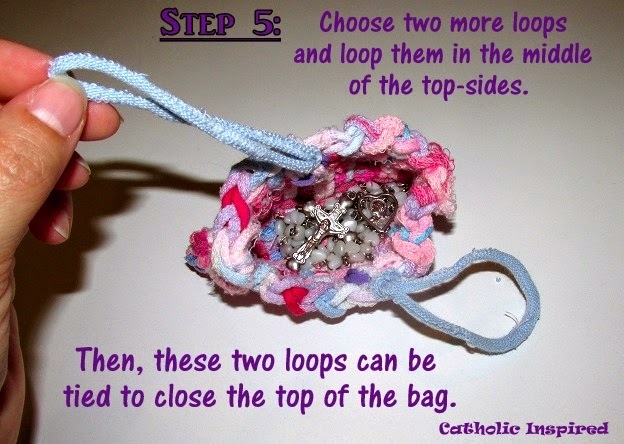 ~ Make Rosary Bags! 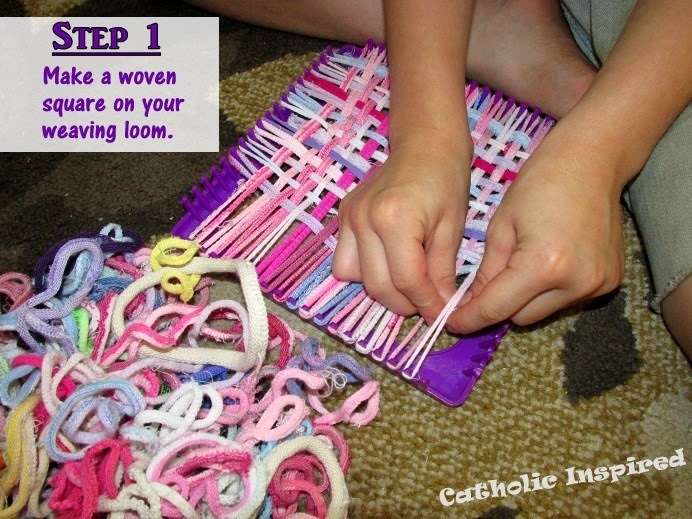 Use that weaving loom for something other than potholders! 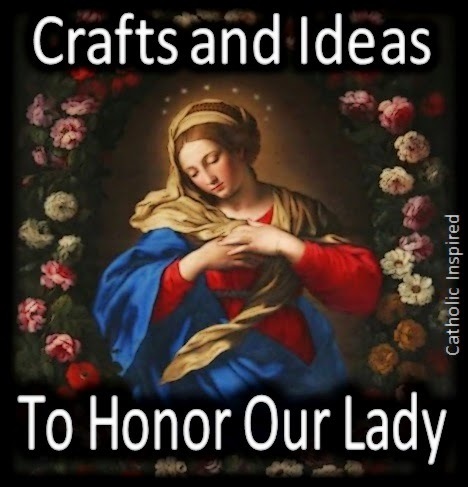 ~ Make Rosary Bags! Do you have one of those weaving looms at home? 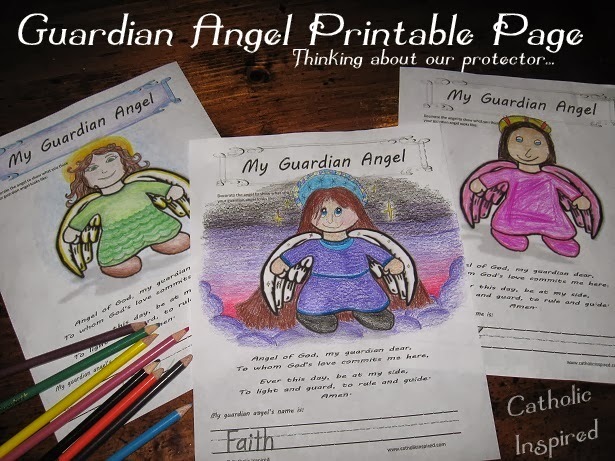 I loved those when I was a kid and my kids love it too! BUT what do you do with all those pot holders - which really don't work anyway!? Well, my daughter, Elizabeth, (age 10) showed me her creative way to use those woven pot holders. She makes Rosary bags!! I thought her idea was quite clever!! 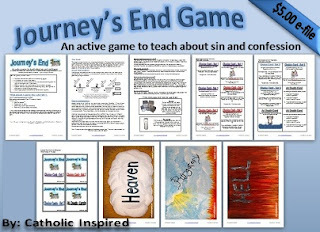 So I thought I'd share it with you all! 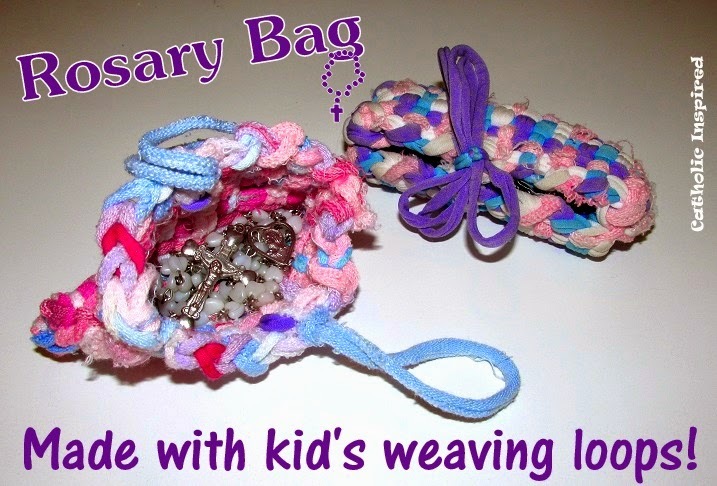 All you need is a weaving loops kit! If you don't own one you can buy a variety of different brands from craft stores or on Amazon - HERE. 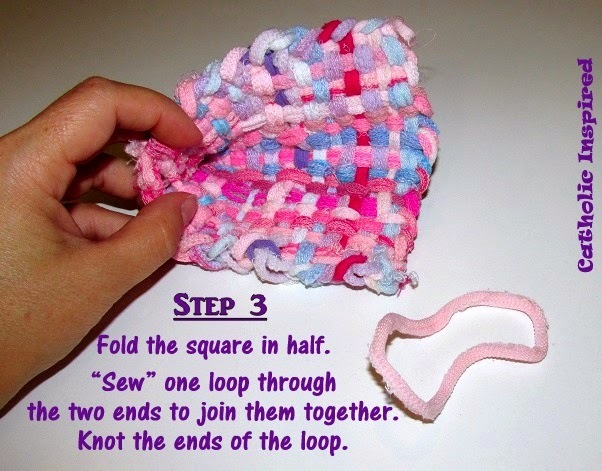 Step 1: Just make a woven square as the weaving loops instructions show in your package. 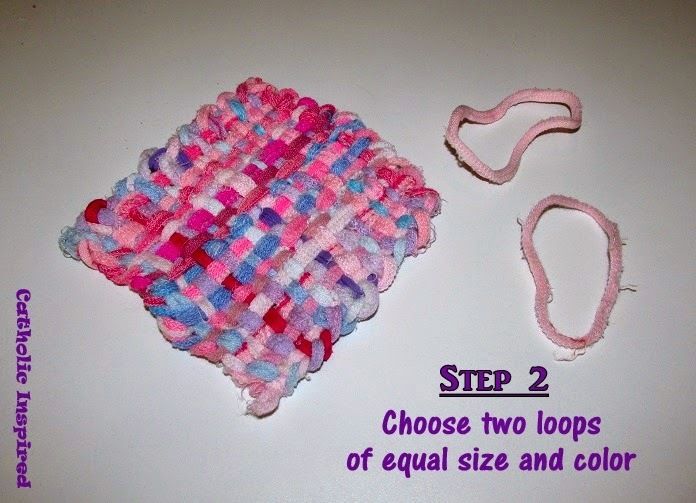 Step 2: Choose two loops of equal size to create the bag. 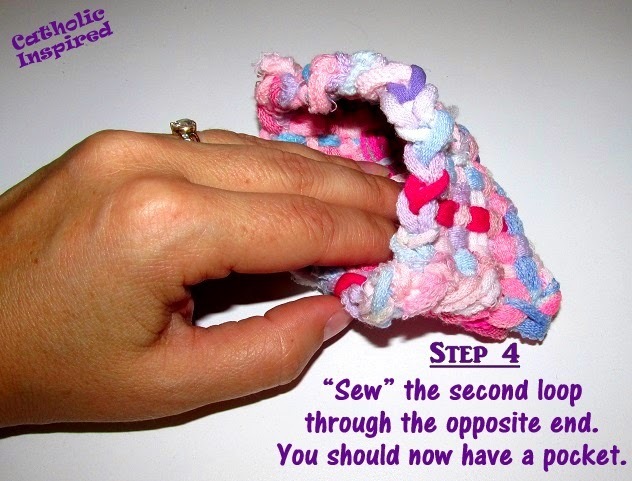 Step 3: Fold the square in half and "sew" one of the loops through the ends to join them together. 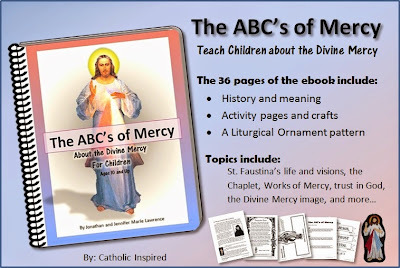 Be sure to close-up any holes on the end so the rosary doesn't slide out. Also, knot the loop so it won't unwrap. Step 4: Do the same to the opposite side. You should now have a pocket. Step 5: Choose two more loops to add to the top opening to use as handles and to tie it shut. 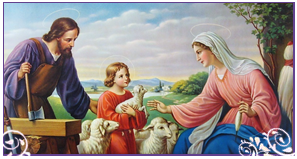 If you want more security so the rosary won't slide out you may want to add a few more tying loops to the ends, too. Isn't Elizabeth's idea clever!? 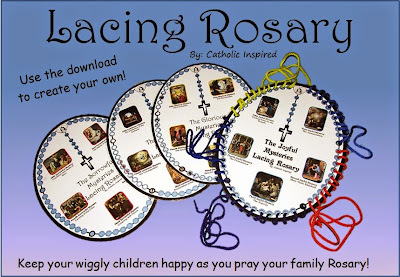 These sure help to keep our huge pile of Rosaries from getting all tangled together! They could make great gifts for Grandma, too! :-) -Hope Grandma's not reading!! 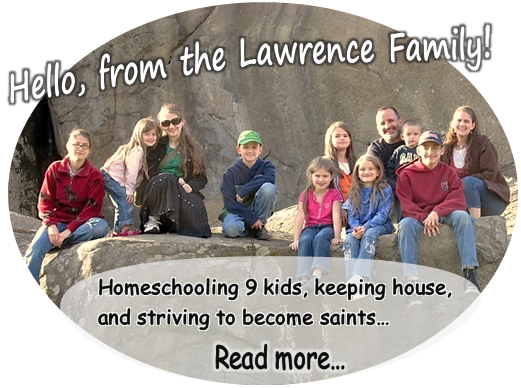 Thanks, Elizabeth, for sharing your idea with all of us! What a clever idea! Beats the little baggies we use! May God bless you with a great day!